One of the scariest things as a parent is when your teenager is finally old enough to begin driving. Avoiding distracted driving is hard enough as an adult, but your teenager faces many other distractions. They are attached to their cell phones and generally are in the vehicle with several of their friends. Technology has made driving more difficult, but there is also new technology that is coming out to help drivers navigate more safely. One technological advancement that has come with smartphones is the ability to enable driving mode on the device. The hands-free setting on the phone disables the ability to allow texting or answering their phone with their hands. Some devices will even silence the phone so the driver is not even notified of a call or text coming in. 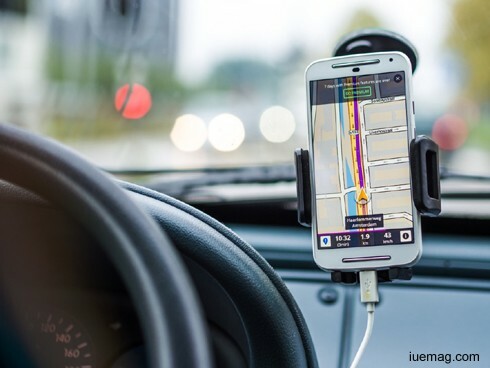 In addition to the standard phone settings, some automobile makers are making their vehicles prohibit the ability to be on the phone while driving if the phone is connected to the new technology. Another tactic to help reduce the number of teen drivers using their phone while driving is through raising public awareness. While many programs teach the dangers of driving distracted, the campaigns, such as “It Can Wait” show the repercussions of driving while distracted. Cell phone companies are also jumping in and schools are joining the campaigns to curb the number of distracted drivers. One way to help teens become more aware of the dangers of being on the road and to keep them away from and off the phone while driving is through enrolling them in defensive driving courses. Defensive driving is a style of driving that helps you become a better driver through maintaining a safe following distance, being aware of other drivers and other important precautions. This is because teens will find some way to be distracted if they are not taught how to discipline themselves while driving. Before cell phones, teenagers were talking to friends in the vehicle, looking for something in their bags, or playing with the radio. Parents play a vital role in helping their children drive safely. There is monitoring software available that will give you a score of your teenager’s driving. You can also communicate with your insurance company to have extra discounts and rewards programs that are based on the driving record of your child and their ability to remain distraction free. It is also important to remember that your children watch and mimic how you drive. If you are a distracted driver, it is more likely that they will be too. Teenagers and young adults are not allowed to rent a vehicle until they are 25 because that is the age it is believed the frontal lobe fully develops the ability to make wise choices. Finally, help remind your child to put their phone in the glovebox or in the back seat as soon as they enter the driver’s seat. This will reduce the temptation to grab it and text while driving. From adding technology to the phone or vehicle to teaching children the proper defensive driving techniques, there are ways you can curb the distractions that technology has created with youth. Teenagers are not likely to self-regulate their behavior, and many become confident that they will not be one of the statistics or they feel that they can handle the distractions because they are good at multi-tasking. As teens are rewarded for staying focused, putting distractions out of arm’s reach, and not allowing friends in the car for the first few years of driving, the statistics will begin to fall into a more favorable view. Jamison Hutton is a car enthusiast and small business consultant.